In 2016, 42.9 million people visited last Vegas and spent $35.5 billion while they were there. People watching in Las Vegas is hardly the only reason to visit this bustling and historic city. But while you're there, it's one of the very few free things you can do while you experience Vegas. If you're just as interested in the tourists and locals as you are in gambling and eating great food, you need to know where to look. 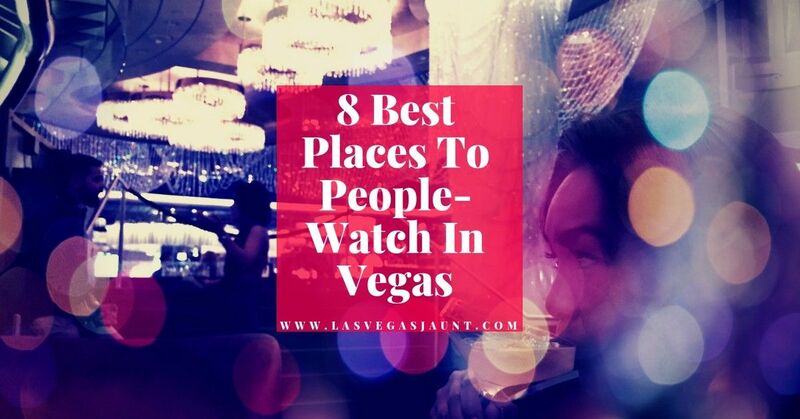 In this guide, we'll tell you the top 8 spots for people watching in Las Vegas. 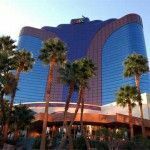 Keep reading to prepare for your next trip to Fabulous Las Vegas. The huge and diverse range of shops in and around Las Vegas offers an opportunity to shop and people watch at the same time. 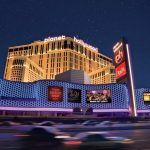 Whether you're looking for brand name boutiques or affordable outlet stores, you can find it in Vegas. At the Las Vegas Premium Outlets North and South, not only will you find discounts from 25% to 65%, you'll also find no end of tourists, families, and discount-savvy bargain shoppers. They attract the kind of clientele looking for deals and all kinds of stores, including Hot Topic, Disney, and Adidas. If you're a high-end shopper then you need to head to the Shops at Crystals. These serve a clientele that is looking exclusively for designer brands and high-ticket items from the likes of Gucci, Prada, and Tourbillion. When you're more interested in people watching the Real House Wives of Beverly Hills and tourists that think a Ferrari is a toy, this is the place to grab a snack and watch. When you get bored of people watching at the shops, some of the retail centers offer a different kind of entertainment. Fashion Show provides free weekend fashions shows. At the Grand Canal Shops, you can people watch on the ancient streets of Italy while gondoliers sing and pass by in the man-made canals running through the plaza. Encore is located in the second tower of the Wynn Hotel and it gets different foot traffic than the rest of the hotel. But being a little further away from the regularly-frequented tourist spots, it offers a unique view for people watching. At the EastSide Lounge, you can eat and drink while you watch the scores of life that frequent the area. Hang around a little later on weekends to see the after-club crowd swing by. You'll have to be there between 2am and 4am to catch the show, but it's well worth the wait. This will give you a good understanding of the people who go to the Las Vegas nightclubs. You'll see the ones who drank a little too much, the ones who kept it cool, and maybe even a celebrity or two if you're lucky. Once you finish your meal and your drinks, head over to the blackjack tables to continue people watching as the clubs empty out. The pedestrian-only Linq Promenade opened in 2014. It has a diversity of restaurants offering different dining experiences as well as bars that are great for people watching. Located outside of the Paris hotel, this is another option for eating and drinking while you get your people watching on. The patio sits directly on the Las Vegas Strip and offers inexpensive food, wine, and desserts from 7am to 11pm daily. The patio itself hosts an array of people from all walks of life thanks to its affordable food and drink. But it's also across from the Bellagio fountains. 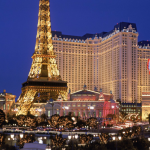 You get the enjoyment of viewing the constant stream of people along the Vegas strip while watching the fountains and the hundreds of tourists who go to see the show. On the lighter side, you'll be people watching all those that take advantage of the cooler Vegas mornings and visit Vegas for its daytime offerings. The bar with the giant, beautiful chandelier in the Cosmopolitan? That's where you'll find this place, and it attracts the kind of guests that are attracted to the splendor of a chandelier as ridiculous as this one. This is where you'll find the young money that flocks to Vegas. Make sure to order their famous secret signature cocktail called the Verbana (or flower drink) which comes with a Szechuan Button! 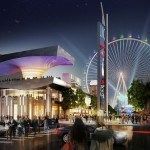 What was once a drab and forgotten piece of Las Vegas history, downtown Vegas has been revitalized. It's only going to get better with a newly-approved $33 million upgrade. Fremont Street dates back to 1905 when Las Vegas was founded and it's not a part of Vegas you want to miss. It was the first big street in the city and its legend has been brought back to life. 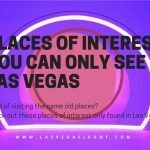 Full of iconic flashy signs that you'll recognize from a lot of movies, it's the former home of all the gambling and gangsterism that made Vegas famous back in the day. Fremont Street is grittier, less expensive, and more laid back than the strip. You can still find "loose slots", $5 blackjack, cheap drinks, a zip line, and amazing street performers. All of this under the 1,500-foot long canopy containing 12.5 million LED lights. And the Patio Bar at the Four Queens casino puts you in the middle of all the action! Located in one of the most famous hotel on the strip, this Bellagio lobby bar offers some of the best people watching on the strip along with an opportunity to put your money down. Anybody checking into the hotel walks past this bar, offering an opportunity to view the kind of people who can afford to stay at such a fancy hotel. When you're done people watching you can stroll outside to watch the fountain show. You won't want to miss it. People watching in Las Vegas is a great way to pass time while you enjoy all the food, sites, and sounds that Vegas has to offer. 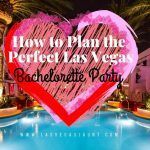 If you're looking for more things to do in Vegas, check out our blog for a host of recommendations.